Discussion in 'Sound, Music, and Intercom' started by Dionysus, Apr 12, 2019. So my "Project Manager" (he used to be TD but we restructured and gave him a promotion) has been sound designer for my current production of Cabaret and brought in these tiny little beltpack transmitters that have really made me happy. The Q5X QT-5100 "Incognito" is without a doubt the smallest and easiest to hide beltpack I've seen. And I was astounded that I had not really heard of them (or if I had, I hadn't remembered, which could be possible). Currently using a few of them in conjunction with some Shure QLXD and ULXD. Its not a huge show, certainly not the most wireless that I've had in the space at one time, but been very well put together and I've been really happy with everything (including my test drive of the Allen & Heath dLive C3500). We are running Wireless Workbench on one computer and the Q5X MicControl on another. We've put these on a Cello, Uke, Banjo and Guitar. You can't even tell from a foot away (during the show) that the Cello or Uke are mic'd. Of course you can see the 1/4" coming out of the guitar and you can see the mic on the Banjo, but the packs visually don't exist. It was really a goal with this show to make everything as immersive as possible, there is NO STAGE per-say. The audience and action are EVERYWHERE. Really curious as what applications people have used these for, and what they have thought of them. Especially as they are literally in the same city as I am, and I've never used them before. I REALLY wish I'd had these when I've done Rocky Horror. They're compatible with brand-name receivers? No companding problems or suchlike? You need their receivers, too. Dual channel rack mount is US$3500. Transmitters are $2000-$2900 depending on model and features. Oh. Broadway prices. Got it. macsound, Aaron Becker and RonHebbard like this. The TX do tricks, like remote programming, remote TX on/off, etc. Wide tuning bandwidth. Think Lectrosonics competition. The "Incognito" model splits the power from the TX for easier concealment. Also comes in water-resistant and shock-resistant models, PTT accessories, etc. It's pretty well thought out line. Dionysus, RonHebbard and Jay Ashworth like this. They are the tap shoe mics the Rockettes use...so you're 100% correct. macsound, Jay Ashworth, Aaron Becker and 1 other person like this. @themuzicman To be picky: I believe the Rockettes line up in Radio City Music Hall which is off Broadway; a fine and legendary venue none the less but appreciably off Broadway. @derekleffew (Curmudgeon to the stars) Do you concur?? [The last time I was on Broadway, I had the privilege of working with a fine production carpenter who held a house position within Radio City as his steady gig. You're welcome @Amiers , you too @GreyWyvern & @Ron Foley. To be picky: I believe the Rockettes line up in Radio City Music Hall which is off Broadway; a fine and legendary venue none the less but appreciably off Broadway. To be fair, it’s probably neither...Broadway in spirit because it’s a huge uptown union venue with a massive operating budget, but it’s also not a part of the League of Off-Broadway Theaters (you don’t see Radio City programming nominated for a Lortel). In the same way Carnegie Hall isn’t a Broadway venue. The Broadway theatre district is bounded by West 40th Street on the south, West 54th Street on the north, Sixth Avenue on the east and Eighth Avenue on the west, and includes Times Square. RCMH is on 6th Ave, between 50th and 51st, so in fact, it *is* in the District, not that this makes it a 'Broadway theatre'. @Jay Ashworth Not bad hair splitting for a Floridian! If the boundary lines run down the centres of the thoroughfares, isn't Radio City on the wrong side of the street to be "in the district"? It wasn't clear from the WP article whether the League includes both sides of the streets, so I didn't worry about it. 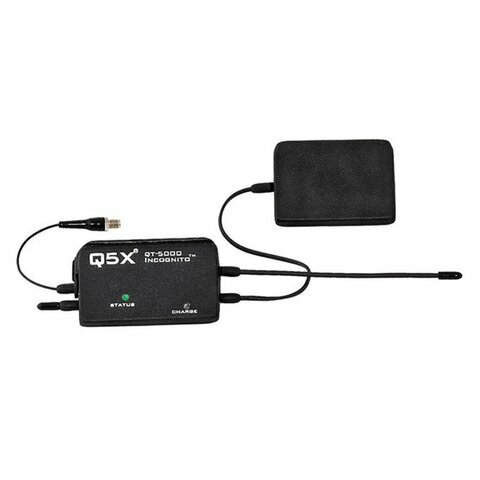 Saw a few companies with mic packs this tiny at NAB last week. Didn't have a pressing need for them so didn't write down their info but you could likely find them all in the NAB show floor guide. All were in the West part of Central, one was right next to Barix at the very central West end. The other two weren't more than about 6 booths away.